Have you ever looked up at the sky in awe and wondered about the stars, planets, and galaxies? Maybe you've wondered about weather patterns and what causes some of the most fierce storms. A natural curiosity for the things around you is a great launching point for a lifetime of scientific observation and study. Whether you're wondering what geology is, or have questions about the ocean, the weather, or the stars, LoveToKnow's Earth Science category can help you decipher those processes and learn more about earth. Get guidance on your hurricane science project. Turn your passion for constellations into a great science project. 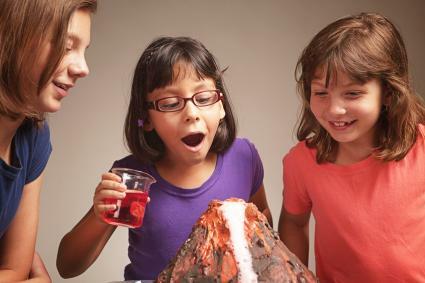 Learn more through observation by performing experiments about climate change. Earth science can be a fascinating, albeit broad, topic. In short, if it has to do with observable phenomenon from earth (such as the solar system), the earth's atmosphere, or natural processes one can observe on earth, this category contains all the information you need. Whether you're a teacher or just a curious student, take your study of earth science to the next level with up-to-date printables, project ideas, teaching ideas, and more. Explaining Fossils for Kids By Erin Coleman, R.D., L.D.